The authors of the national bestseller You Mean I'm Not Lazy, Stupid or Crazy?! return with a book that celebrates the special skills, insights, and challenges of adults with attention deficit disorder -- ADD. With wise, clear eyes and well-developed senses of humor, Kate Kelly, Peggy Ramundo, and D. Steven Ledingham look at the experience of ADDults. 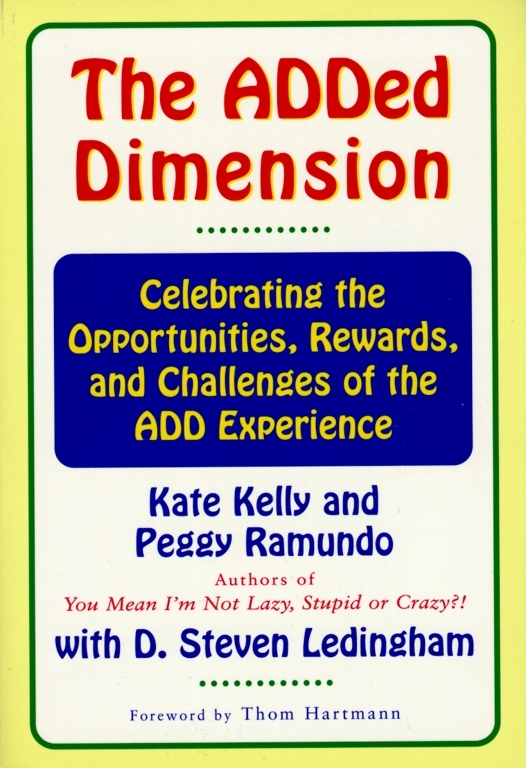 Their life- and self-affirming message is that ADD isn't just a disorder, but a different way of thinking. And different doesn't mean worse: it often means better, especially where energy and creativity are concerned. Without minimizing the difficulties ADDers face, they offer encouragement, inspiration, and guidance for dealing with everyday situations and taking advantage of the positive aspects of ADD.